Most people who join the gym are looking to lose weight. There are endless rows of cardio machines to aid in this pursuit, but there are so many choices it can be overwhelming. What are the best cardio machines for fat loss and what ones should you avoid? Read on to learn more! Pros: The Versaclimber comes in at number one for a multitude of reasons. It's a machine simulating climbing a hill involving the upper and lower body. Research shows it burns more calories, increases heart rate, and results in higher levels of oxygen consumption than other forms of cardio. This increased oxygen uptake leads to a higher VO2 max and more calories burned after the workout due to the EPOC effect. Not only does the Versaclimber make you work harder and involve more muscles than most cardio machines, it’s low-impact and easy on the joints. Cons: Unfortunately this machine can be difficult to find in many commercial gyms, and with them have limited numbers due to its high cost. Pros: This cardio machine also incorporates full body movement by placing you on all fours, essentially a stairmaster requiring you use your arms as well. 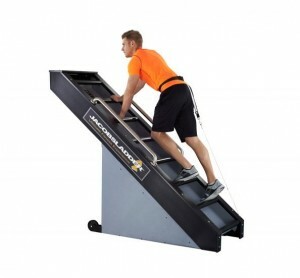 Jacob’s ladder is on par with versaclimber in terms of calorie burning and forces core engagement to maintain a neutral spine position during the movement. It is low-impact and easy on the joints. Cons: Like the Versaclimber Jacob’s Ladder, it can be difficult to find in most gyms. Additionally, some find the positioning awkward and uncomfortable when beginning. Pros: The Stairmaster has traditionally been the preferred source of torture for the serious lifter looking to shed fat. Pre contest bodybuilders labor on it for hours at a time in hooded sweatshirts. It is one of the most effective cardio machines at burning calories as it helps shape and build muscle in the legs. You can also use it going backward, sideways, performing curtsey lunges, or deep lunges if you skip a step. This versatility helps target weak areas or diversify your workout. Almost all gyms carry Stairmaster machines. Cons: While it’s a great lower body workout your upper body is ignored. It can potentially interfere with leg workouts if you are not properly conditioned. 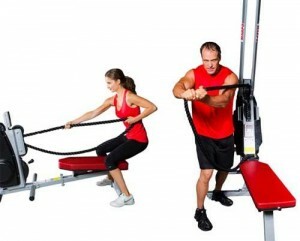 Pros: This machine is becoming increasingly popular and showing up in more commercial gyms. Essentially you have a rope on a loop that you pull. But there is so much more you can do. With some creativity, you can get your core and lower body involved leading to a great whole body workout. It’s also effective at building strength and endurance in your grip and pulling muscles. This versatility gives you a full-body cardio workout while burning a ton of calories, plus it’s fun! Cons: The lower body won’t get a ton of work and many people sit and pull while completely neglecting their lower body. Incorporate squats using rotational movement as well. Most gyms have only one of these so you may have to wait your turn. Also, if you use too much resistance, it could interfere with recovery from back or pulling workouts. Pros: The most common cardio machine around, you won’t have any trouble finding an available treadmill in most gyms. Sprint, do intervals, or simply walk depending on your goals and fitness levels. Set it for an incline to get more involvement from the calves and posterior chain. Treadmills are simple to use and are among the most effective machines at increasing VO2 max and burning calories. Cons: Running on a treadmill is a high impact exercise that can cause damage to joints and ligaments. Also like most cardio machines it focuses only on the legs resulting in fewer calories burned than machines involving the upper body muscles as well. Special note: Not all treadmills are created equal. There are some with options for a much steeper grade of incline and others allowing for more natural running patterns or simulating a run through hills. 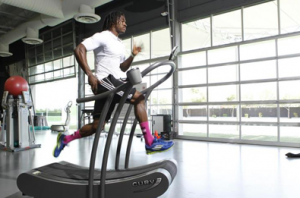 The Woodway Curve burns 30% more calories than traditional treadmills. Pros: The rower is a low impact full body exercise. A favorite of Crossfitters, rowing machines call for a very functional movement that is a great warm up before an intense workout. Because it involves rowing mechanics and spinal extension it’s a great option for those with muscular and postural deficiencies as it aids posture and overall mobility. Cons: It is not the best at burning calories, and many people do not do it correctly. If rowing is done improperly, it compounds muscular imbalances like internally rotated shoulders or kyphosis of the spine. Pros: Spin is a popular class offered by many gyms in a group setting. But they also usually have a few independent spin bikes with the other cardio equipment. It is easy to change the resistance and intensity by standing and changing body position. When done in a class setting energy and output is usually higher leading to a high caloric burn. It is also low-impact and easy on the joints. Cons: Another cardio machine that is leg exclusive. While it can be effective at burning calories, it doesn’t compare to the top machines on this list. 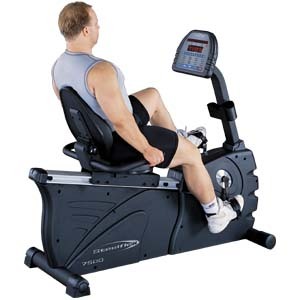 Also, many people use the spin bike with bad posture by hunching the back and rounding the shoulders. Pros: One of the newer cardio machines on the list, the lateral elliptical is becoming a standard machine in most gyms. It allows movement in the frontal plane while almost all other cardio machines exclusively use the sagittal plane. This is important because exercising in only one plane can lead to muscular imbalances. The lateral elliptical is low-impact, and some models involve the upper body to a small degree. Cons: It’s not gonna burn a ton of calories and may not be a comfortable movement for some. Pros: Ellipticals can be found at any gym and provide a good option for those with knee pain or injuries. It is low-impact and involves the upper body as well. Resistance can be adjusted quickly and easily allowing for intervals to be performed effectively with no transition time like you would experience on a treadmill. Cons: Again not a huge calorie burner and due to the automated nature of it, it can be difficult to maintain intensity and focus. Ellipticals require very little stabilization, taking out some core activation. Pros: This is the stationary bike with the upright back. This low-impact machine helps those with back problems since it keeps your spine aligned, unlike other biking cardio machines. Cons: Don’t expect to get shredded using this machine. The mechanics of it lead to very little range of motion throughout the pedaling, and it doesn’t involve the upper body muscles at all. You should only use this for cardio if you have limitations forcing your choice. Remember diet will be the most important factor when it comes to losing body fat. You must be in a caloric deficit and utilize the proper supplements as well. Before a cardio session consider taking Sheer Strength Thermogenic to target body fat, specifically belly fat for fuel. Thermogenic also gives you the energy needed to workout with intensity. BCAA’s should also be taken to ensure muscle mass is not lost along the way. Once your diet and supplementation are on track utilize the cardio machine that work best for your body and your goals. Remember while there is some variation in terms of effectiveness, as long as you attack your workout with intensity and consistency any form of cardio helps you reach your fat loss goals. Jonathan Warren is a national level physique competitor and personal trainer with multiple certifications including NASM, NCCPT, and IKFF. His specializations include mobility training and corrective exercise as well as contest preparation.